Why Media Literacy Matters – Quality journalism and ethics – "Media Literacy Matters"
In a previous post I talked about the importance of quality journalism and why journalists also need media literacy education. Photojournalists need to remind themselves about the ethics of journalism. This applies to both contests and published work. 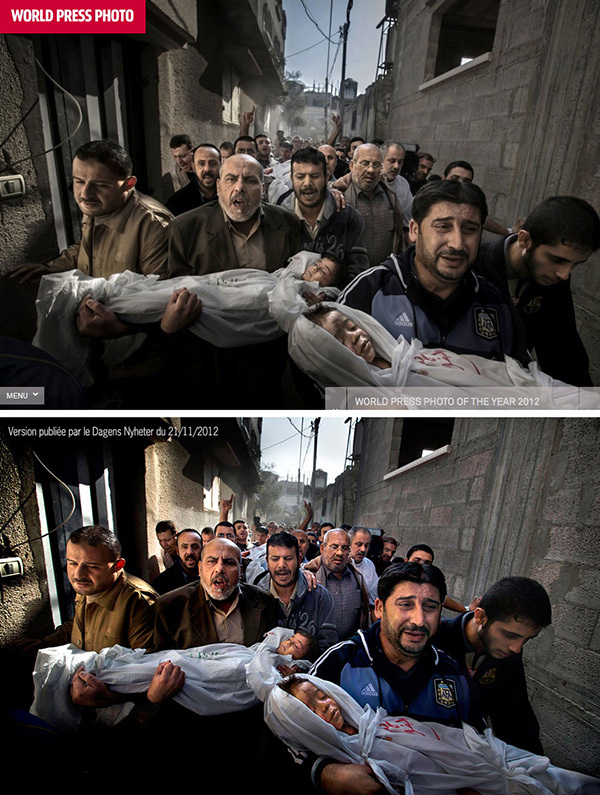 In another article, Murabayashi explains that the next two photos are the World Press Photo of the Year 2012. The top image is the submitted image that won, and the lower image is how it was first published. Like Murabayashi, I also prefer the “original” image better. This is not the first time an entry has been manipulated. This is also not the first instance of photojournalists manipulating their images. Patrick was fired from the Sacramento Bee on February 4, 2012 for the violation of ethics by digitally altering photographs. Patrick had digitally altered photographs on more than one occasion. In April 2003, the Los Angeles Times fired Brian Walski, a photographer who covered the war in Iraq for the newspaper. According to Kenneth Irby of the Poynter Institute, Walski was fired on April 1, 2003 for submitting a photograph that was a composite of two different photographs he had taken. Patrick Schneider is another photojournalist that was fired for digitally manipulating photographs. Schneider altered images on more than one occasion. According to Sherry Ricchiardi, on August 15, 2003, the North Carolina Press Photographers Association revoked three awards that were given to him, ruling he had improperly manipulated images in the editing process. Falsified images are unethical because they deceive the viewer. Even journalists need an understanding of media literacy. They need to be careful and ensure that accurate information is shared. They need to know how their work influence the public. As I said in a previous post, most professional journalists are trained to report truthfully and have a strong grasp on media literacy. However, they are human and can make mistakes. 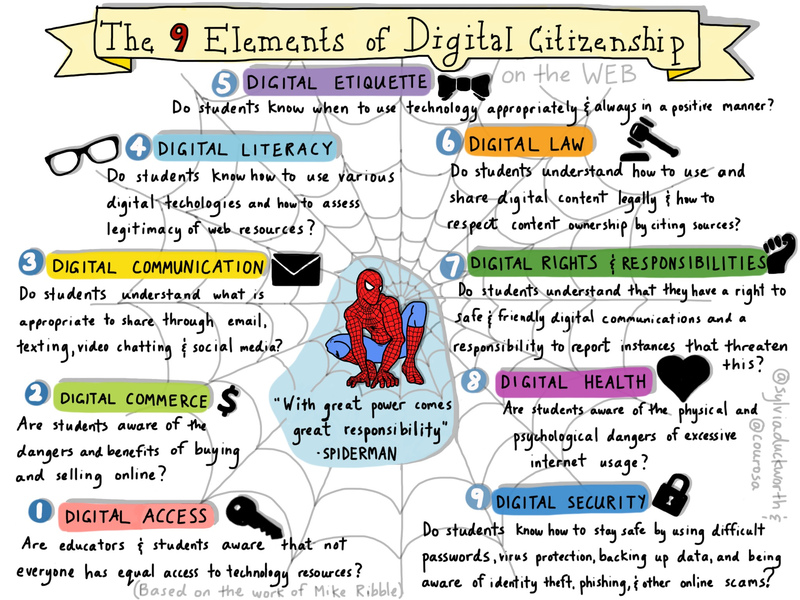 It does not hurt to reevaluate the importance of media literacy training. It is the responsibility of journalists to inform and educate the public on important issues that affect their lives and the world. But in order for journalists to accomplish this task, they must have the trust of the people. People see the world, through the images and the stories presented by the media. The public has given journalists their trust and therefore they cannot mislead them. Posted on February 23, 2013 by benliumedia. This entry was posted in Education, Journalism, Photography, Photojournalism and tagged ethics, media literacy, photography, photojournalism. Bookmark the permalink.